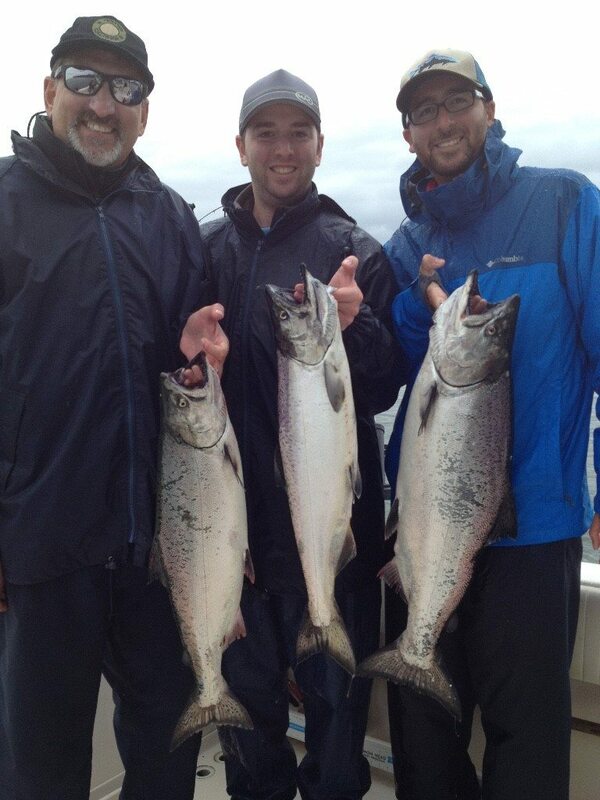 Jason’s guests from Sunday with a couple of nice ones from S. Bowen. This past week things were definitely a little slower than the action we had become accustomed to in May and the first few days of June. 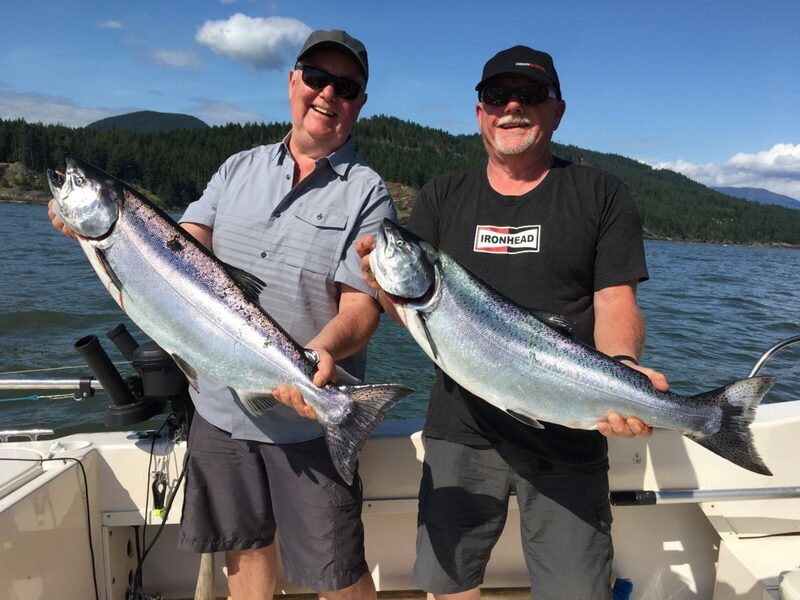 There are still some good numbers of chinook around, and some big ones too, but the overall number has dropped and you need a good solid day out on the water to get on top of them. If you are willing to put your time in you should be rewarded with some fish in the boat. The most productive area still seems to be from Cowan up to Gower Point. That is a huge area and it is tough to know where to start each morning as the fish move around a lot. A good strategy is to put in a Cowan and start trolling up to Roger Curtis, or perhaps the other way around depending on what direction the wind is coming from. The water is fairly dirty from Fraser River run off and the fish have been getting caught from 60-120 on the downriggers for the most part. Productive flashers have been the Salty Dawg, Lemon Lime, Green Onion Glow, and Chartreuse Glow. Bait and spoons have been working well. Chrome spoons on the top rods have been working well, like the Killy Mcgee and Bob Marley. A little deeper down the Irish Cream, Cookies n’ Cream, Herring Aid, and Homeland Security have been working well. For anchovy teaser head colours the same theme applies. Chrome ones up top and glow ones on your bottom rods. 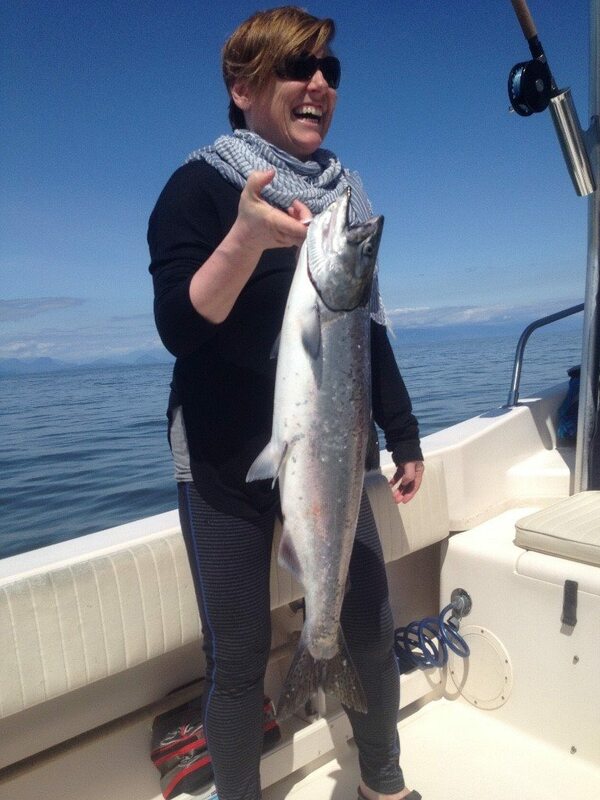 We hit Thrasher a few times this week and we did get a few nice chinook but overall the fishing was pretty tough. Long grind for a fish or two. There are some coho starting to show up offshore out in 500-1000 feet of water, so we will see how that fishery progresses. 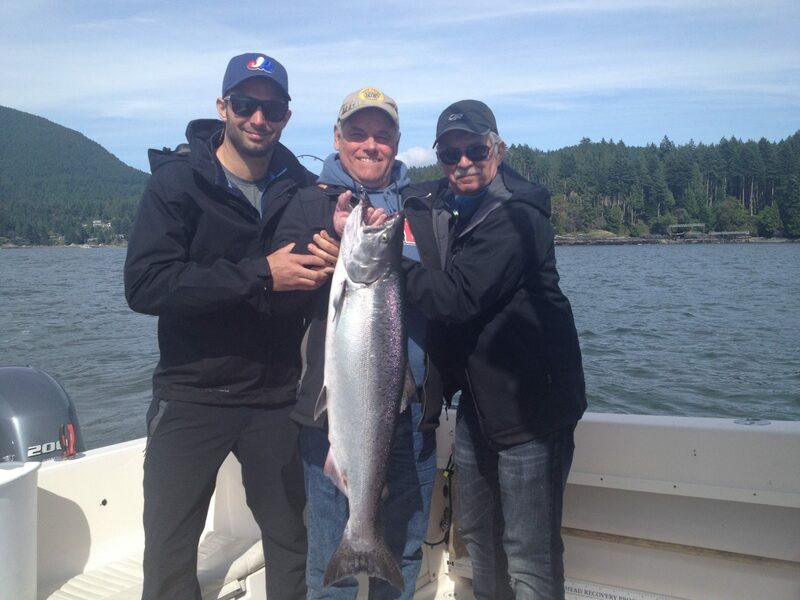 Captain Eddie’s guests with their catch from earlier this week. Crabbing is getting pretty good but the commercial fleet will be open soon, so if you haven’t got your fill yet, you want to head out now.